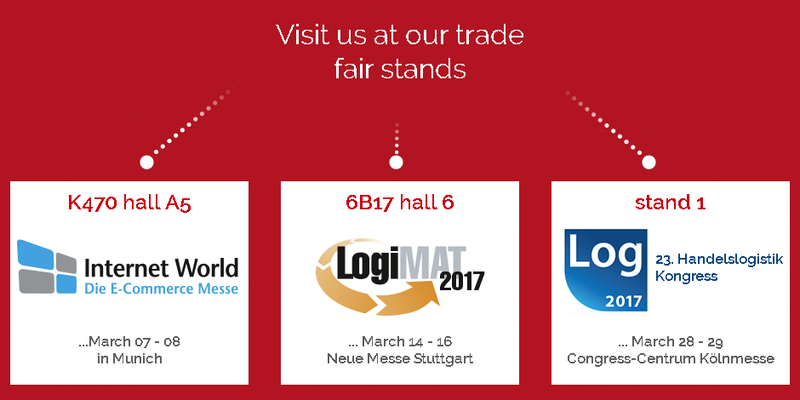 We will be there – in 2017, we introduce our Con-Pearl® products for the first time at the LogiMAT in Stuttgart, at the Internet World in Munich and at the Handelslogistik Kongress in Cologne. We present ourselves in a very new look in 2017. The open and eye-catching LogiMAT stand design invites to stay at our booth where visitors can see, touch and test our well-established Con-Pearl® bulk containers and the new Con-Pearl® van liners and van floorings. At the booth, you can experience how easy Con-Pearl® boxes can be used – an advantage with which we have already won over big ecommerce retailers. Light TECH Box™, Pallet TOP Box™ and Co. further convince with their low weight – a feature that also becomes more and more important in the automotive sector. We deliver the fitting answer with lightweight, strong van linings for transporter vans. Through the light weight of the van liners and van floorings, payload and additional load of the vehicle are increased and fuel consumption is minimized. For example, Con-Pearl® lining of an L3 size van can reduce weight by more than 80 kg in comparison with a standard wood panelling. This corresponds to fuel savings of 300€ per year*. “The van floorings of Con-Pearl® now have double the strength than ever before through optimizing. The high loads for van-vehicles do not create a problem for the Con-Pearl® floors”, says Dr. Matthias Stein, CEO of friedola®TECH.